It is difficult to translate and try to tell the relationship that develops between the traveler and the trip. One can not do without the other: it works with a synergy and a perfect synchronism; the trip meter by meter, effort after effort, gives you all the energy that you need to realize your dream. Forty years I realized that there is not only the pain of Africa but there is also ill to travel. Becomes a need, it becomes a way of life to travel to aim a goal and achieve it every day. Practically I go cycling since I was born, alternating cycling to swimming and running. In 2009 celebrating my 40th year, I decided to start traveling solo, the easiest journey, the journey perhaps more obvious but to begin with could be fine, The Way of St. James (French Way). 2010 and 2014: Way to Santiago del Norte yet still lonely along the Bay of Biscay to the Atlantic Ocean. 2011 and 2015 Camino de la Plata (Sevilla) through Extremadura up to Santiago. 2012 Portuguese Way, Way of Fatima from Lisbon, then head to Santiago. 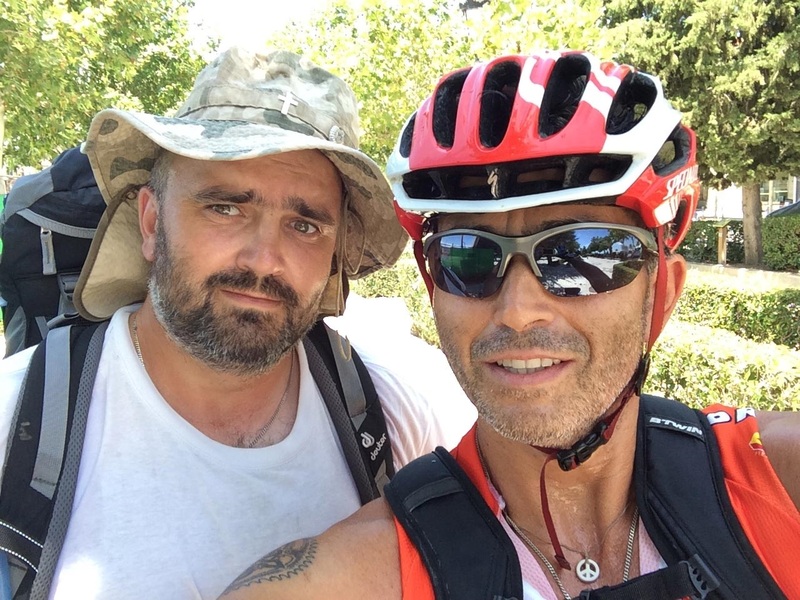 2013 French Way from France to Santiago de Compostela through the heart of Spain. 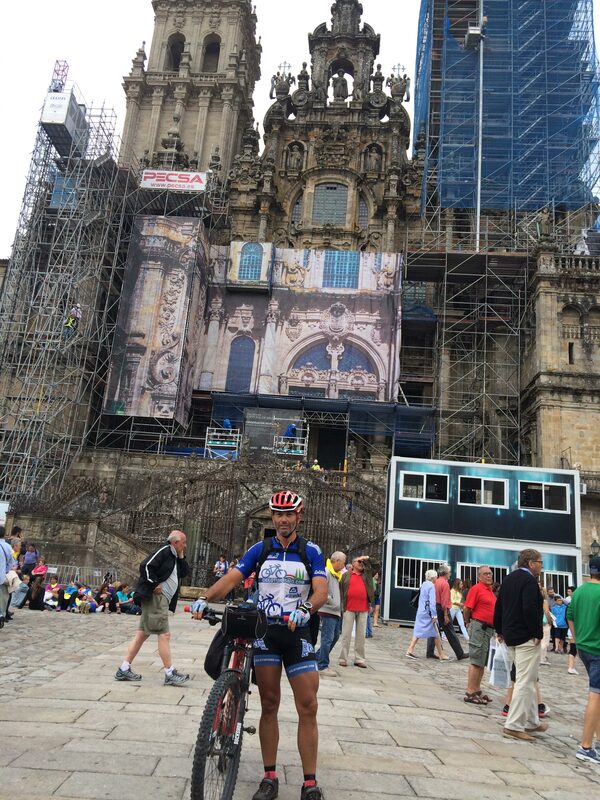 This year in April I intend to reach for the eighth time Santiago de Compostela (Way Portuguese). In June, starting from home I want to get to Rome by the Via Francigena. In the month of October 2016 point to reach Ushuaia in front of the Perito Moreno (the southernmost city in the world) starting from Iguazú. The idea is to start from Brazil (Iguazú) enjoy the spectacle of the falls and then go down to Uruguay and Paraguay until arriving in Argentina, through it all going from Buenos Aires targeting the far south of the world. Then if the physical legs and head held back Chile to Santiago, Chile by crossing the Andes. 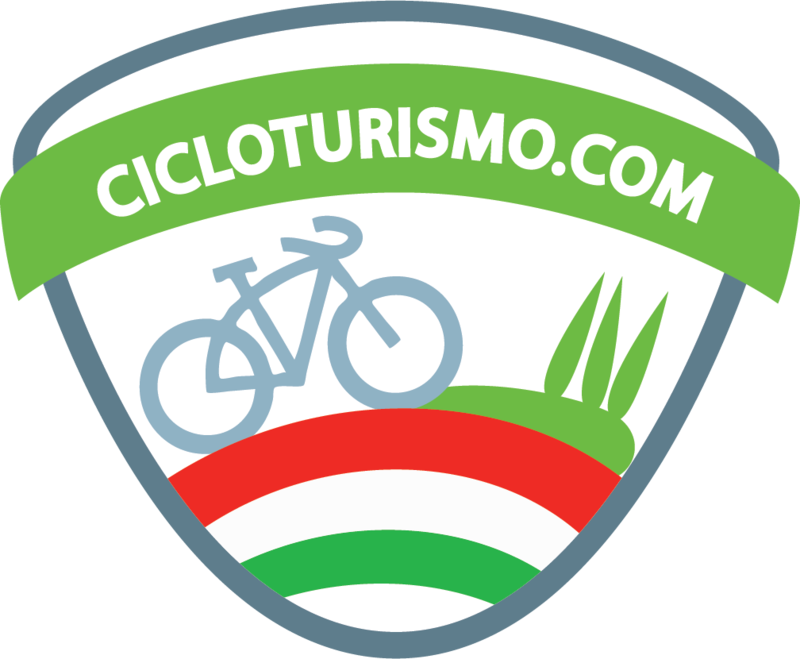 As CEO of Piramedia Srl and driven by my passion I gave away the most popular online network dedicated to the bicycle: CICLOTURISMO.